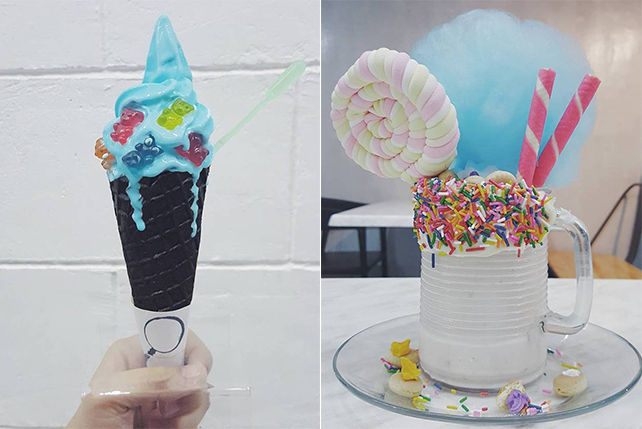 Prep yourself for an intense sugar rush because this ice cream parlor has completed their catalogue of flavors. 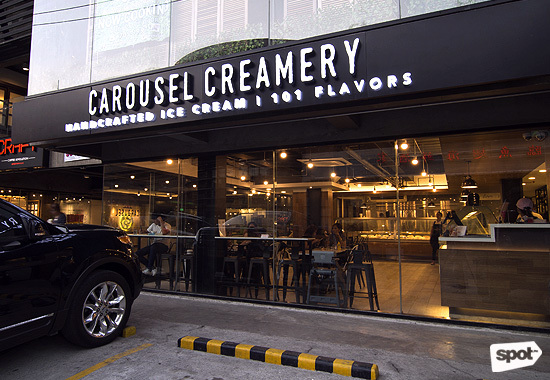 (SPOT.ph) You'll be overcome with nostalgia when you enter Carousel Creamery. The interiors are inviting, with comfy chairs, a cool ambience, and relaxing music. 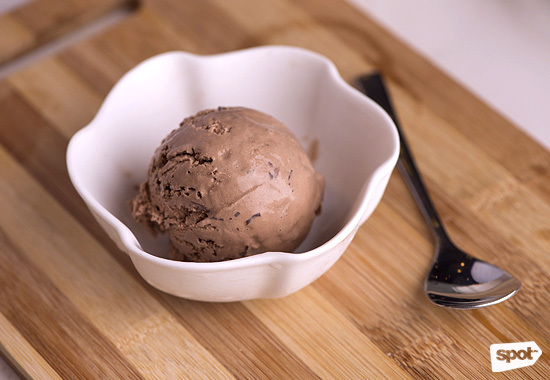 It’s an updated version of the ice cream parlor you used to visit with your parents—except that this place goes well beyond chocolate, vanilla, and strawberry. 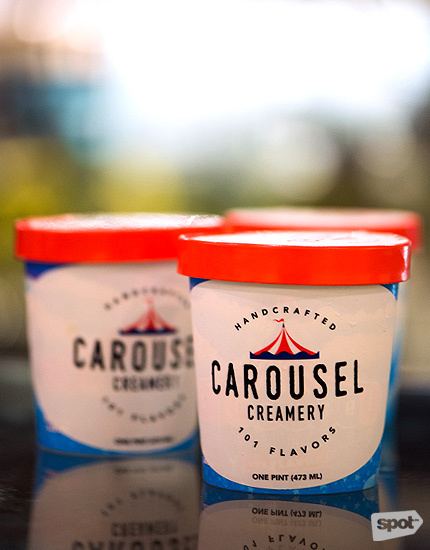 Owned by Lincoln Cheong and his older brother, Carousel aims to provide comfort in all aspects. "You're sure to have a good time. 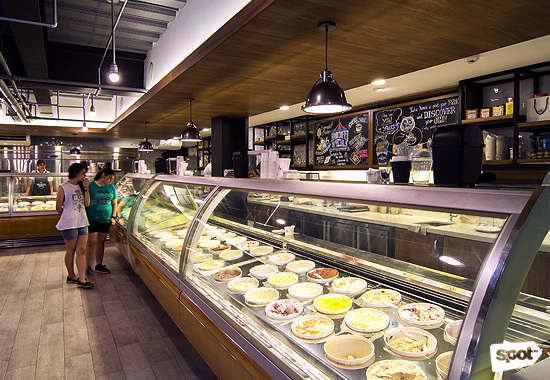 Everything about [Carousel Creamery] is good. From the food to the service, to the chairs, to the temperature, everything about it makes you want to come back,” shares Lincoln. Little details add to the overall charm of this establishment: There’s a bench outside for waiting customers (the place gets packed sometimes) and a quirky-looking table displays newspaper comic cutouts that feature ice cream one way or another. 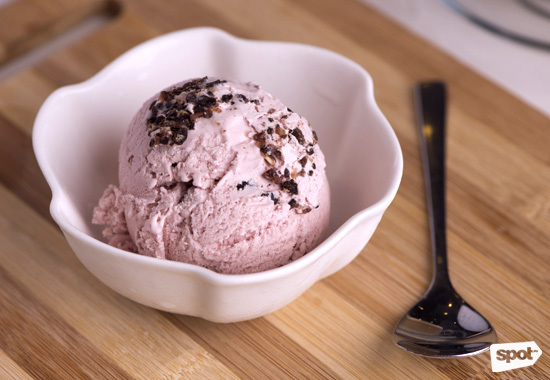 Carousel is known for its crazy ice cream flavors. 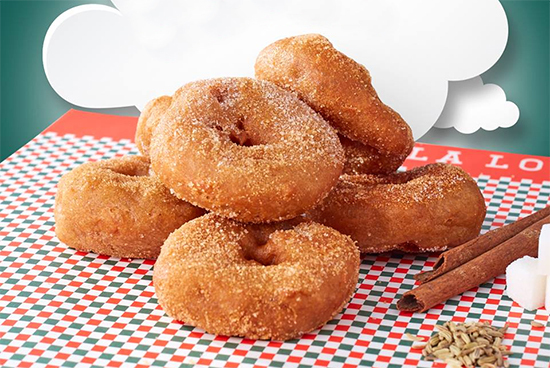 Its name is based on the carnival ride for its monthly rotation of flavors, which go round and round. 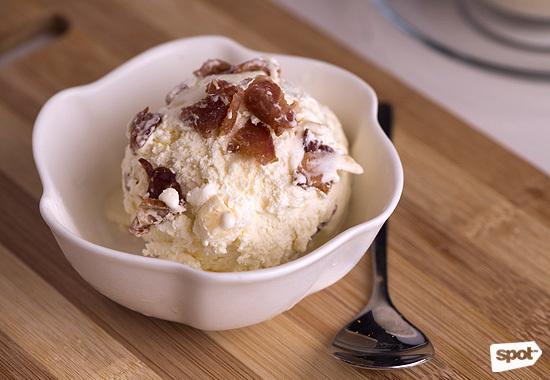 Among the more idiosyncratic flavors are Bacon and Cheese (a savory scoop made of cheddar cheese and real cooked bacon), the famous Beer and Chicharon (consider it the Mona Lisa to their Louvre), Deadpool (no chimichangas here, but this raspberry-based treat is tart, tangy, and a lot of character), Yoreoda (a vanilla-based ice cream with chunks of Oreo and mint crème for the fresh aftertaste), Puto and Cheese (glutinous cake chunks and salty cheese add texture to the ice cream), Pumpkin Spice (we’ve finally got a local version of that ever popular American flavor), and Double Shot Espresso Chip (a spoonful will give you a good kick of caffeine). 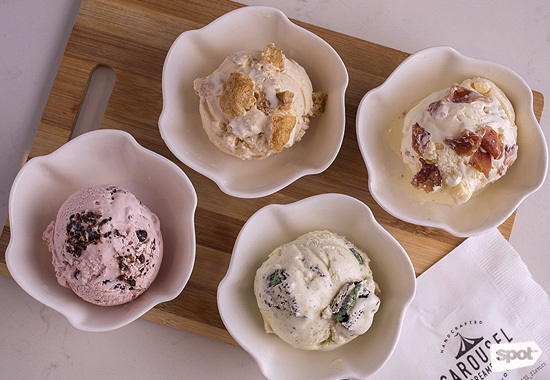 The ice cream prices range from single scoop (P85), double scoop (P145), triple scoop (P200), to a sampler plate of five (P395). 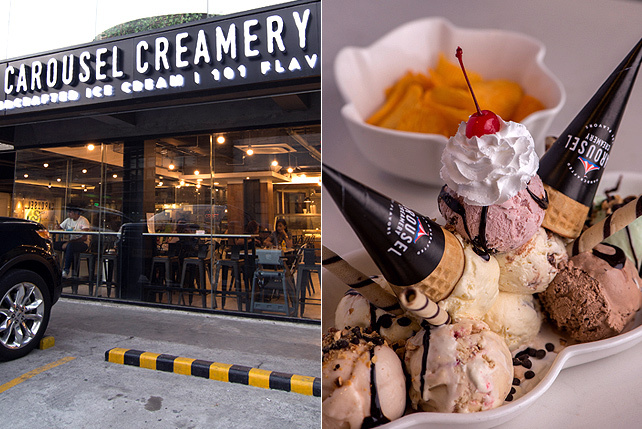 Some of their bestsellers include S’mores, Darkside Chocolate, Ube And Pastillas, Chunky Cheese, Vanilla Toffee Crunch, Speculoos (which was already sold out by the time we dropped by), and all the bacon flavors. Because bacon. 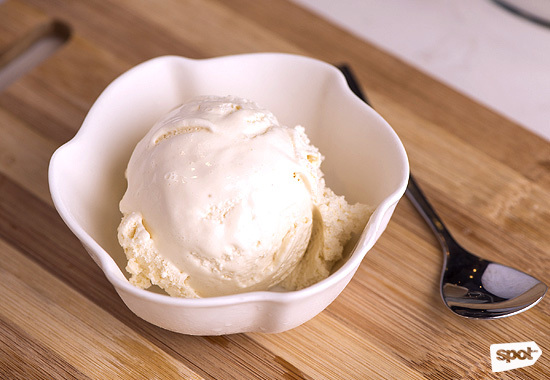 Do you need a creamy caffeine kick? 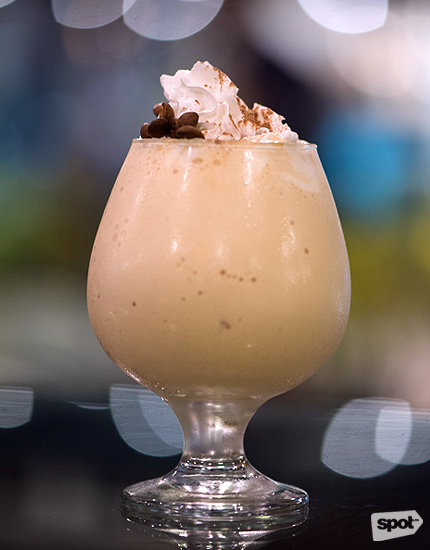 Java junkies would enjoy the taste of the Espresso Shake (P165). 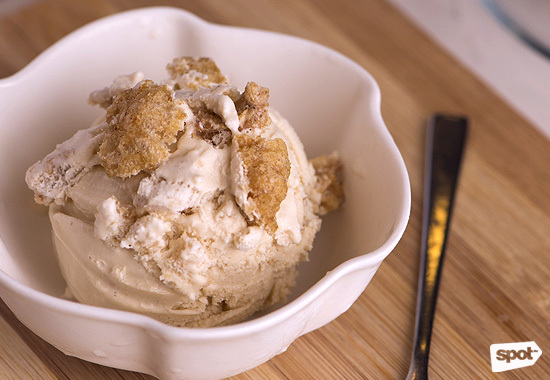 Their signature drink combines their ice cream with a classic coffee blend and tops it all off with whipped cream and crunchy coffee nibs. 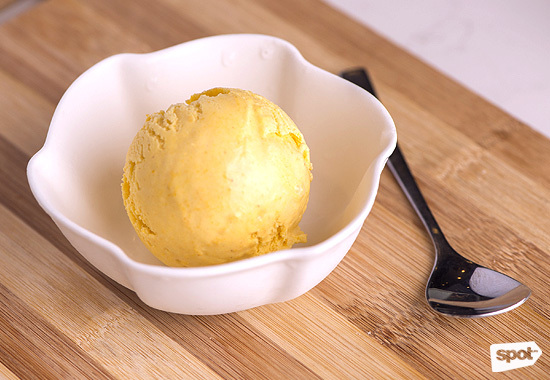 If you’d like to share more epic scoops with your sweet-tooth squad or maybe prefer to take on a gastronomical challenge on your own, you won’t be disappointed with the CONEnundrum (P750). 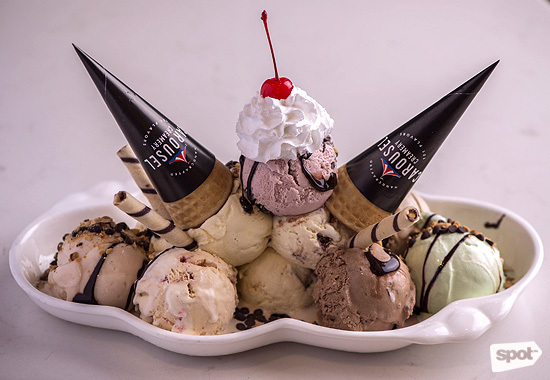 This super sized sundae has 10 scoops of your choice ice cream, homemade waffle cones on top for that crunchy contrast, a sprinkling of nuts and chocolate chips, a dollop of whipped cream, classic hot fudge lovingly drizzled over everything, and—the way all good things end—a cherry on top. 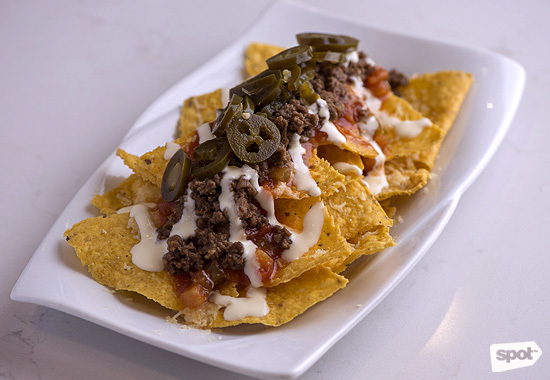 If all this sweet stuff is making you crave some savory snacks, Carousel also offers comfort food like the Chili Dog (P165) and Beef Nachos (P160). 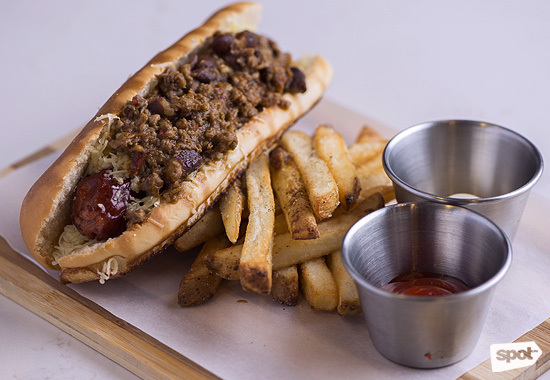 The hotdog is a gourmet all-beef specially made and customized for Carousel. Lincoln shares that they're planning to add flavors like macapuno, langka, avocado, blueberry, star apple, tiramisu, raspberry, and cookie dough. 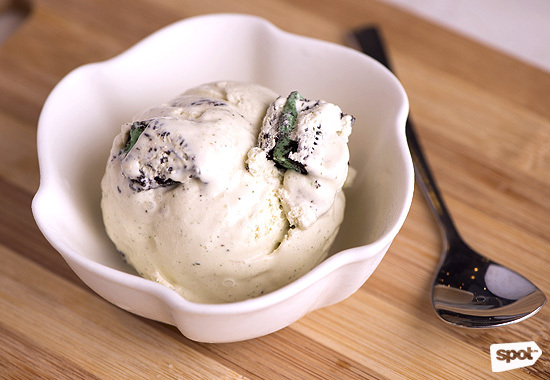 He also mentions a neopolitan-style ice cream and perhaps a Batman V. Superman-themed flavor. He doesn’t give too much away. Clearly 101 flavors aren't enough to surprise.